Home / Blog / Have fun. Enjoy the ride. 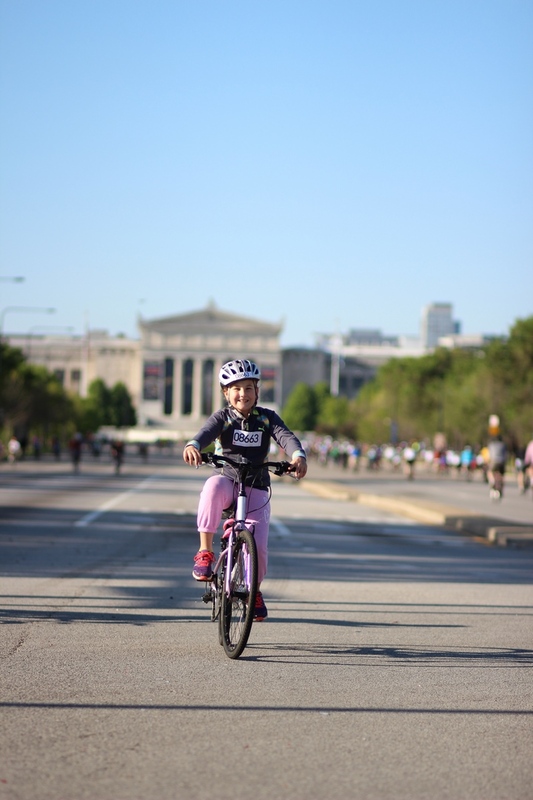 Chicago’s biggest cycling event is back and better than ever for its seventeenth year! This year, MB Bike the Drive will be held on Sunday, May 27. Enjoy nearly 5 hours of car-free riding on the city’s scenic Lake Shore Drive, which will be closed to all auto traffic for the event. A post-ride festival including live music, giveaways and breakfast (pancakes, anyone?) will take place from 8 a.m. to Noon in Butler Field. This unique event is open to riders of all ages and skill levels, making it a perfect event for the family. And if you’re a seasoned cyclist looking for a challenge, you can snag a special bib at packet pick-up to become a 30 Mile Challenge participant and track your mileage with an app! Active Transportation Alliance is proud to offer 200 complimentary MB Bike the Drive registrations to local youth groups who otherwise would not be able to participate in the event. If inaccessibility to bikes is an obstacle to your organization’s participation, NEW this year, we will have a limited number of bikes and helmets that can be lent out to recipients of the youth scholarship! You can download applications in English or Spanish, and please note that all youth must be accompanied by a adult chaperone. So, come join the experience! For more information on MB Bike the Drive, check out our Facebook event page or read the event FAQs. Proceeds will benefit Active Transportation Alliance, a member-supported advocacy organization that serves as Chicagoland’s voice for better bicycling, walking, and transit. Please consider becoming a member when registering. Have questions about registering or volunteering? For registration inquiries, please contact Kerry Holsinger at kerry@activetrans.org. For volunteering inquiries, please contact Gabby Petrelli at gabby@activetrans.org. This blog post was written by Sarah Clarke, MB Bike the Drive Events Intern.